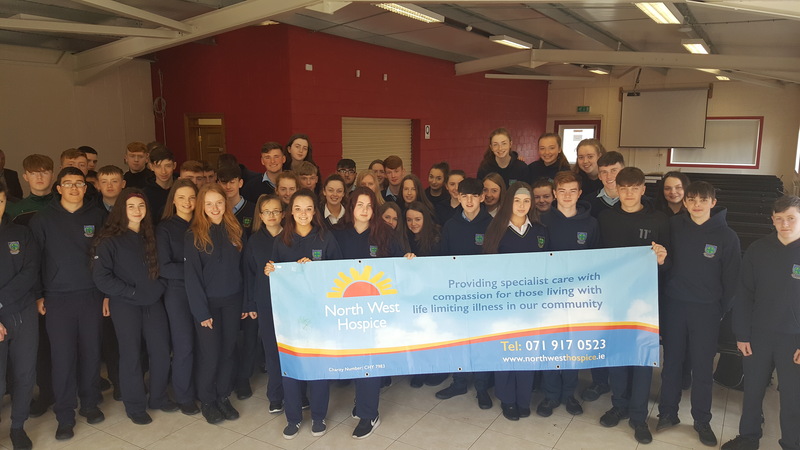 Every year the wonderful students of Coola Post Primary school along with their teachers climb Croagh Patrick to raise money for North West Hospice. Pictured above are some of this year’s Transition Year, 5th Year and LCA students who will take part in the climb. 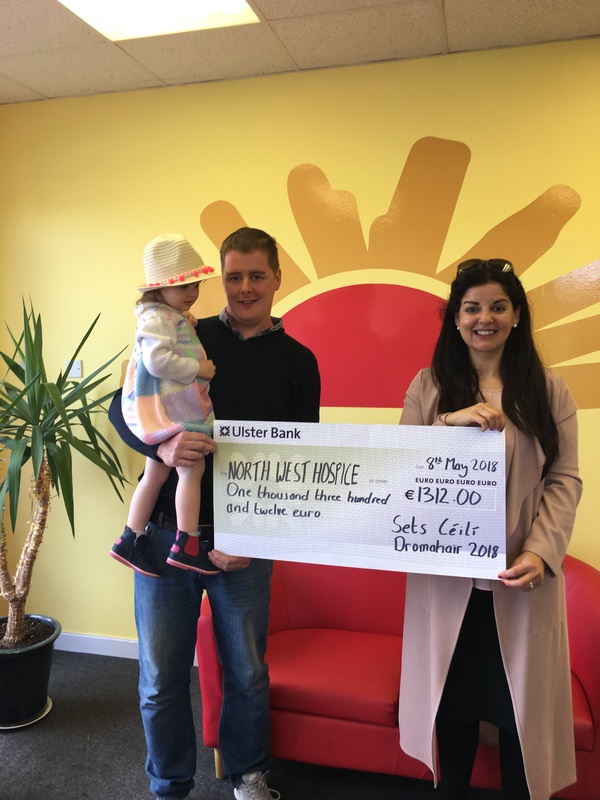 The lovely Colm O’Brien and his daughter Lily are pictured presenting a cheque for €1312 to North West Hospice. 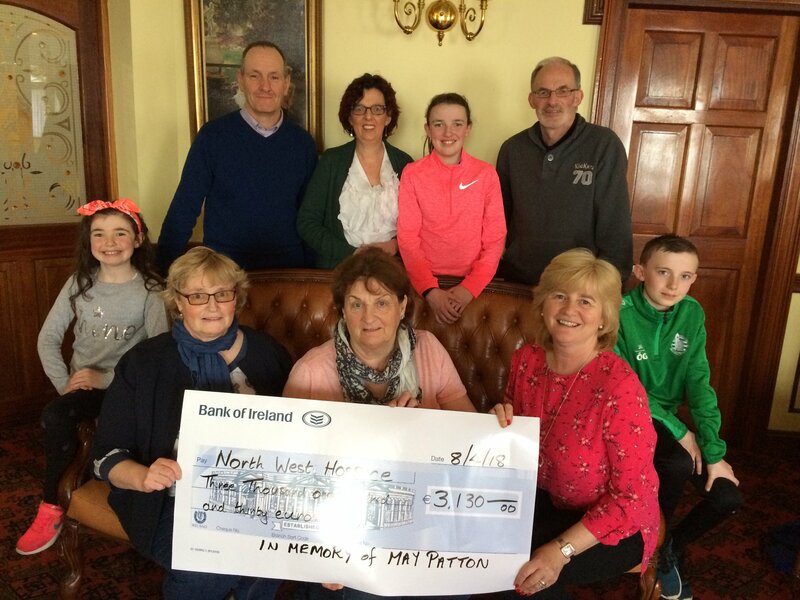 These were the proceeds from a sets céilí in The Blue Devon Dromahair. 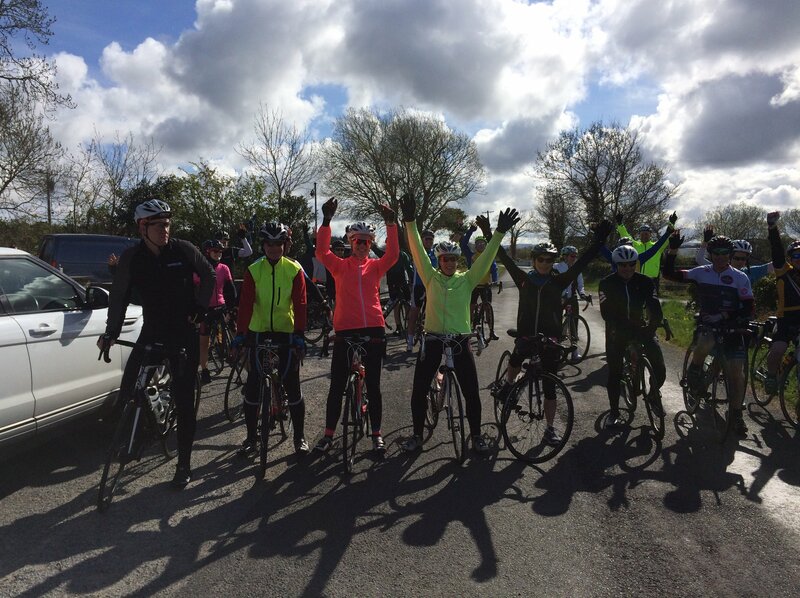 Thanks to all who took part in the Lap of the Lake cycle 2018 in Donegal recently. These great supporters keep working hard every year to support North West Hospice. Well done all. 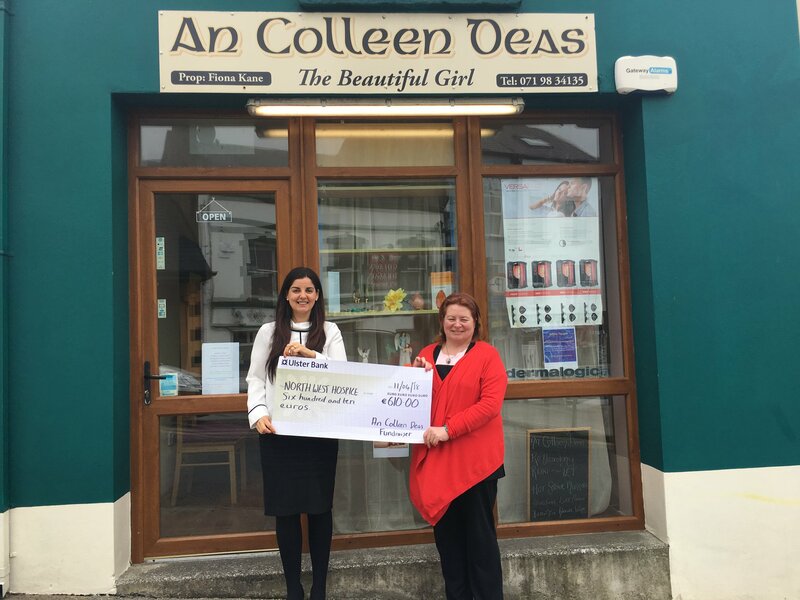 Huge thanks to the lovely Fiona Kane who held a fundraiser in her salon An Colleen Deas in Ballyshannon for North West Hospice last year. Colleen provided a range of therapies on the day and customers made a donation to hospice. 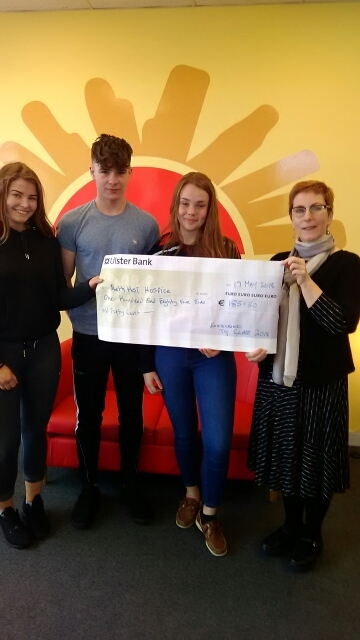 She raised an amazing €610 for North West Hospice.